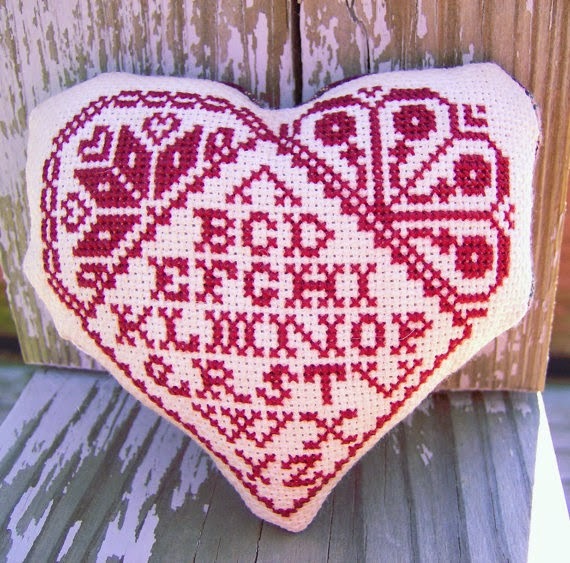 This is a pinkeep that features a Quaker motif sampler stitched in a rustic red color. I stitched this on 16 count Ivory Aida with DMC floss. I lightly coffee stained it to give it an aged look.